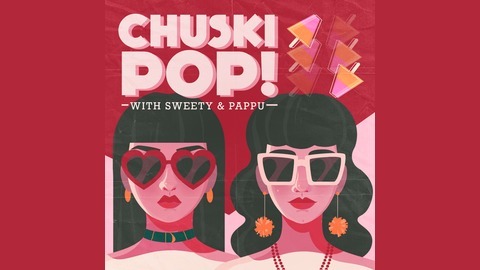 Welcome to Chuski Pop, a podcast starring Sweety & Pappu. Two desi chicks riding the fourth wave of feminism in our salwar kameez and golden heels, while flipping birds to aunties and bringing you stories from far-away lands and from our own motherland. Tune in to our podcast every second Saturday to hear us share our adventures, staying woke and generally not going gentle into the night. And oh, we love rainbows, glitter stickers, cats, man buns, dudes with impressive facial foliage, and would wait for an eternity if that meant that we could finally make ‘fetch’ happen. Not sure if you like us yet? Bish, we like your BFFs here! 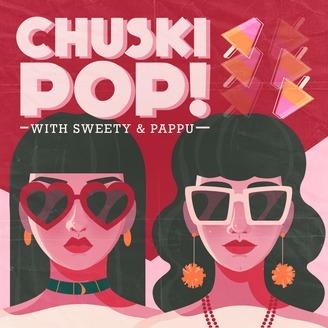 Visit www.ChuskiPop.com for more info. All music is licensed through www.EpidemicSound.org. Helooooo we are back with another gossip-filled b*tch session for March. Enjoy!